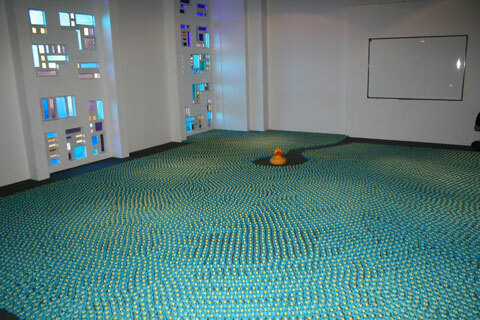 This week 40,000 rubber ducks will be waddling their way round World Museum, that’s enough ducks to stand as tall as the Radio City Tower fourteen times over. From 1 April 2011 (and this is no prank) the ducks will be top of the ‘bill’ and on display throughout World Museum in anticipation of the annual Claire House Children’s Hospice sponsored Duck Race. Here visitors are encouraged to sponsor a duck for £2 and the sponsored ducks will then race on 9 July 2011 in the Leeds Liverpool Canal at the Pier Head. For the next two years Claire House will be National Museums Liverpool’s local charity partner. 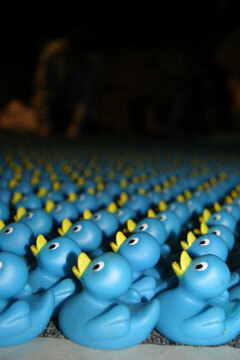 By hosting the 40,000 ducks, National Museums Liverpool hopes to help Claire House raise its target of £100,000. Claire House Merseyside area manager, Helen Carlson says: “This year we have set ourselves the highest ever fundraising target for this annual event of £100,000, but we can’t do it without the support of our local community so really appreciate the support from National Museums Liverpool.